Alien scientists create a new human race—and keep them as sheltered pets: “It’s time to discover Donald Moffitt” (Greg Bear). After intercepting a message from Earth, Nar scientists have learned the secret of human life. The alien species understands everything about human technology and culture and uses this knowledge to build on each breakthrough until it succeeds in re-creating humans. Now they encourage their “pets” to evolve within the alien community and learn the mysteries of the galaxy, but prohibit any knowledge of the planet Earth itself. Bram has always dreamed of traveling to the forbidden planet. 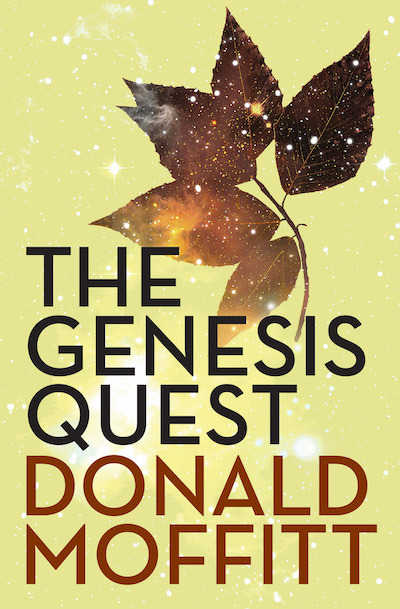 Although Earth is millions of miles away, the bioengineer is determined to discover the truth about his species and the land that has been kept a secret his whole life. Bram must discover a way to unveil the truth and see the homeland he has been denied.